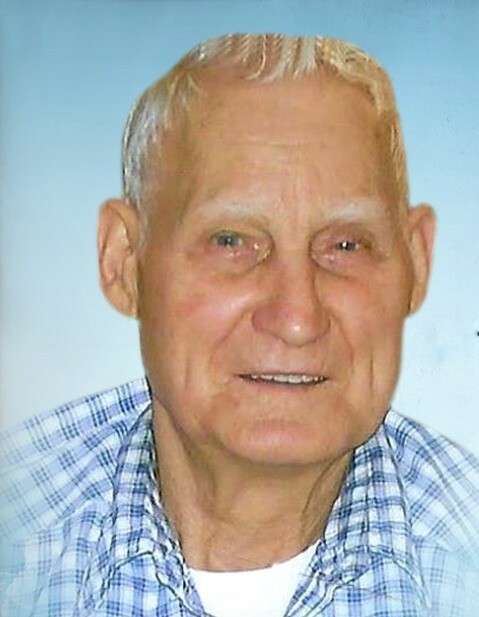 Obituary for Leo Vern Gimeson, Sr. | Dixon Funeral Home, Inc.
Leo Vern Gimeson, Sr., 90, of Sweeny passed away on Monday, January 14, 2019 at his home. He was born on February 20, 1928 in Oxford, Nebraska to Otis Raymond Gimeson, Sr. and Anna Belle Gimeson. He enjoyed spending quality time with his family. He was a veteran of the United States Army and a member of the American Legion. He was preceded in death by his parents; daughter, Carla Rae Gimeson; brothers, Dean Melvin Gimeson, Glen Robert Gimeson, Donald Neil Gimeson and Otis Raymond Gimeson, Jr.; sisters, Edna May (Olson), Edith Elinora (Bunch) and Marion Diana Gimeson (Remond); grandsons, Sammy Ray Hays, Jr. and Michael Terry and great great granddaughter, Kinsley Hurst. He leaves to cherish his precious memories, sons, Leo Vern Gimeson, Jr. of Lake Jackson and Walter Terrance Morris of Arkansas; daughters, Marianne Hall of Ohio, Lila JoAnne Harwell of Brazoria and Linda Cheryl Hays of Sweeny; 12 grandchildren, 32 great grandchildren, 6 great great grandchildren and other relatives and friends. Family will receive friends on Friday, January 18, 2019 from 5:00 p.m. to 6:00 p.m. with service at 6:00 p.m. at Dixon Funeral Home in Brazoria with Pastor Thomas Lester officiating.